With the old/new news that Carmen Farina is up to her old tricks, I thought that I would post Wikipedia's history of NYC Chancellors. See below. Quite a bunch, totally unaccountable for their actions. I think it is way past the time to get rid of the Mayor appointing the Chancellor, and we need to have a citywide vote on both the schools job and the NYC Board of Education, brought back under new rules of accountability but VOTED in, not appointed. See this post as well. These people are in charge of the process known as the rubber rooms, and The Gotcha Squad. These people, in charge of $25 million+ and a network of padded pockets underneath, are extremely dangerous to the health, safety and welfare of kids, especially under the inept political-media-industrial complex Mayor Bill de Blasio works for. Who will control New York City public schools on July 1? The question has become a referendum on Mayor de Blasio’s leadership. De Blasio requested permanent mayoral control of the schools last year. In June, an unimpressed state Legislature renewed it for a single year. De Blasio was essentially on probation. Flanagan and his Republican colleagues are put off by de Blasio’s antagonism toward charter schools. They’ve also called for more scrutiny of the city’s education spending. De Blasio, then, hasn’t earned a longer leash. Why not? A primary reason is his handpicked schools chancellor, Carmen Fariña. She’s got progressive jargon, not a strategy. Competence. Her oversight of low-performing Renewal Schools has been ruinous. Her team wasn’t even able to release the Renewal plan until two months after the program was scheduled to start. Nor did she publish academic targets for the schools until more than a year into the program, and only after Chalkbeat reported that she had refused to release them. And it soon became clear why. Goals touted as “rigorous” turned out to be absurdly easy to meet — for example, giving schools three years to meet targets designed for one year. Fariña validated low expectations and failure for disadvantaged students while making it more likely that the initiative — and administration — will appear successful when goals are met. A year and a half in, the only achievement that Fariña has been willing to cite is a decline in chronic absenteeism. Rigor. 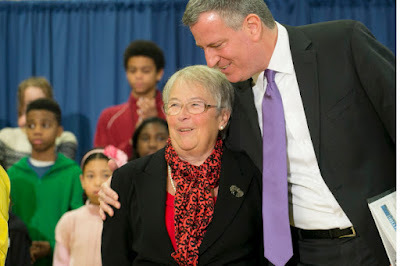 Meanwhile, Fariña reinstituted the centralized command-and-control structure of the past — shifting authority away from principals and back to superintendents who report to her — ending a decade of gains in school autonomy and accountability. Fariña doesn’t rely on evidence in making these decisions. She requires Renewal schools to use her favored reading program even after a study found poor students performed better using a different program. She dismissed four-year randomized trials showing that the Bloomberg-era small schools produced large student gains as merely “one view of things.” She suggested that charters push out low-performing students before state tests and then refused to provide evidence or to retract. Urgency. Nearly 80 percent of city high-school graduates attending community college require remedial coursework. About 10,000 Hispanic and 7,000 black students who should have graduated in 2015 — roughly one-third of each cohort — either dropped out or are still in school with diminishing odds of success. Fariña echoes a time when education was even less organized to serve the interests of children, a feeling driven home by a recent report in The Post that at least one old-fashioned “rubber room” — in which teachers accused of misconduct spend their time, on full pay — has resumed operation in Queens under her watch. Of course, Fariña was hired in the first place because she was willing to maintain common cause with the teachers union and lend her credibility to City Hall-driven initiatives like pre-K. Appointing Fariña was a safe political choice for the mayor — at the time. Now he needs to get serious. Facing an oppositional governor and Republican caucus in Albany, a union president publicly predicting failure and mayoral control ending in six months — not to mention the potential for a humiliating state takeover of city schools under a new receivership law — de Blasio must show results, and fast. Will he be enough of his own man to bring in a big thinker, someone who knows what citywide improvement looks like and can convince people it’s possible? With due respect for her service, that person is not Carmen Fariña. Campbell Brown is the co-founder and editor-in-chief of The 74, a nonprofit, nonpartisan news site covering education in America. The New York City Schools Chancellor is chairperson of the New York City Board of Education (Panel for Educational Policy) and leader of the New York City Department of Education, the agency that handles New York City's public schools. The Chancellor's formal title is Chancellor of the New York City Department of Education. 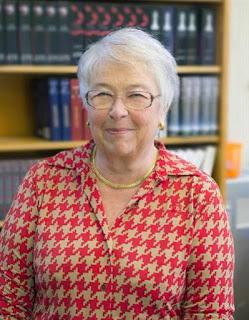 The current Chancellor is Carmen Fariña. While searching for a permanent Superintendent of Schools in 1970 for Nathan Brown, the Board of Education named Irving Anker to serve as Acting Superintendent until the position was filled. The Board had approached, and been turned down by, such notables as Ralph Bunche, Ramsey Clark, Arthur J. Goldberg and Sargent Shriver, before choosing Harvey B. Scribner, who had been Commissioner of the Vermont Department of Education and superintendent of the Teaneck Public Schools, where he oversaw the implementation of a voluntary school integration program. Citing what he called a "confidence gap" with the Board of Education, Scribner announced in December 1972 that he would leave his post as Chancellor when his three-year contract ended on June 30, 1973. Before going on a terminal vacation starting on April 1, 1973, Chancellor Scribner named Anker, then Deputy Chancellor, to serve as Acting Chancellor. Anker was then named permanent Chancellor in June 1973. After taking office in January 1978 as Mayor of New York, Ed Koch forced out Anker as Chancellor in favor of Frank Macchiarola, a key Koch advisor who had been a vice president of the CUNY Graduate Center and deputy director of the New York State Emergency Financial Control Board for New York City; Anker would serve until his contract ended on June 30, 1978. Alvarado was named as Chancellor in April 1983, the city's first Hispanic Chancellor. Alvarado resigned as School Chancellor in May 1984 in the wake of professional misconduct charges, including allegations that he had borrowed $80,000 from employees in coercive fashion. Nathan Quinones was selected as Chancellor, having served in the position on an interim basis after Alvarado placed himself on leave two months earlier. Quinones was pressured to resign in 1987, in the face of criticism for his management of the district and its finances, with mayoral candidate Carol Bellamy saying that he "consistently failed to provide the leadership or sound management we need". Harold O. Levy was the last Chancellor to be selected directly by the Board of Education, serving during the final years of Mayor Rudy Giuliani and the early part of the Bloomberg administration. Joel Klein was named as Chancellor in July 2002 by Mayor Michael Bloomberg, the first to be named in the reorganized system in which the Mayor of New York was given direct control of the Board of Education. In November 2010, Cathie Black was named as the first female Chancellor by Mayor Michael Bloomberg. Because of her lack of educational experience and administrative licensing, Black required a waiver from the Commissioner of Education of the State of New York, who at that time was David M. Steiner, in order to take office. The waiver was issued, and Black took office on January 3, 2011. A month ago Anthony J. Alvarado did not believe he had the slightest chance of becoming the head of the largest public school system in the country. Yesterday the Board of Education selected him as Schools Chancellor, and celebrations erupted in Mr. Alvarado's East Harlem office, where he has served as school superintendent of District 4 for the last decade. Mr. Alvarado, who will be 41 years old in June, has won his share of accolades for the innovations he has brought to the schools of East Harlem, where most of his 14,000 students are black or Hispanic. He has created schools within schools, so-called mini-schools. These schools focus on a particular area, such as dance, music or art. Mr. Alvarado says his mini-schools have become so successful they attract children from outside District 4. In 1981, Mr. Alvarado received a $5,000 tax-free prize from the Fund for the City of New York, which honors city officials it considers outstanding achievers. The number of children who could read at or above grade level in the district rose from 25 percent in 1979 to 48 percent in 1982, a leap that led educators to heap praise upon Mr. Alvarado's leadership abilities. In redesigning District 4, Mr. Alvarado, who is Hispanic, has realigned the leadership of his schools, placing many Hispanic teachers in supervisory posts. This has led to charges of discrimination against him and his school board. In 1975, the State Division of Human Rights held that Mr. Alvarado and his school board had discriminated against Samuel Peyer, who is white and was then the acting principal of Public School 171. Mr.Alvarado had replaced Mr. Peyer with Elsa Lurie, a native of Puerto Rico. Mr. Peyer sued, and the state eventually ordered that Mr. Peyer be reinstated. Ted Elsberg, the president of the Council of Supervisors and Administrators, the supervisors' union, said there had been other discrimination complaints by assistant principals and principals in District 4. In 1977, Irving Anker, then the Schools Chancellor, said Mr. Alvarado had too many highly paid supervisors in his district.Mr. Alvarado defended his hiring practices, saying they were a necessary part of the district's philosophy of creating smaller schools for students whose educational needs had been neglected in the past. He maintained that he was not spending more money than other district superintendents. In recent years, however, he has gone over his budget. He says that the way to rebuild the school system with its nearly one million students is to instill a sense of accomplishment among students and teachers. He has pledged to help restore the vitality of the city's high schools, which are supervised by the central Board of Education and not by the city's 32 school districts. Anthony John Alvarado was born in the South Bronx on June 10, 1942, the son of a factory worker. He attended St. Anselm's Catholic School, Fordham Preparatory School and Fordham College, where he received a Bachelor of Arts degree in English in 1960. He later was awarded a Master of Arts degree in English from Fordham University and has also taken education courses at Hunter College. He began his career as a teacher in the public schools in 1965 and with the exception of a brief stint at the City University, has remained in the system. He is married to Ellen Kirshbaum, who once headed Distict 4's East Harlem Performing Arts School. She now works as a community liaison for the district, she said yesterday. The Alvarados live in a brownstone in Park Slope, Brooklyn, with their children, Rachel, 4 1/2, and Emily, 18 months old. Mr. Alvarado has two daughters from a previous marriage, Maria, 13, and Gloria, 11. Miss Kirshbaum said yesterday that with two careers, theirs is an ''egalitarian household.'' They divide responsibilities and her husband often does the marketing. On occasion, Mr. Alvarado plays a little racquetball, she said. When filing an Article 78, a Petitioner cannot ask for back pay without filing a Notice of Claim (Education Law 3813(1)), says the NYS Court of Appeals. I would think that Ms. McGovern's attorney knew that. Matter of McGovern v Mount Pleasant Cent. Sch. Dist. Matter of McGovern v Mount Pleasant Cent. Sch. Dist. 2015 NY Slip Op 04675 Decided on June 4, 2015 Court of Appeals Published by New York State Law Reporting Bureau pursuant to Judiciary Law § 431. This opinion is uncorrected and subject to revision before publication in the Official Reports. Mount Pleasant Central School District, Respondent. Jason M. Wolf, for appellant. Emily J. Lucas, for respondent. The order of the Appellate Division should be affirmed, with costs. Petitioner Elizabeth McGovern was employed as a teacher by respondent Mount [*2]Pleasant Central School District, commencing September 1, 2008. On June 30, 2011, before the end of her three-year probationary period, the District terminated McGovern's employment, based on the Superintendent of Schools' recommendation not to grant her tenure. McGovern brought this CPLR article 78 proceeding seeking annulment of the District's determination, reinstatement with tenure and back pay. In its answer to the petition, the District asserted as an affirmative defense that McGovern had not served a timely notice of claim as required by Education Law § 3813 (1). McGovern's sole argument in opposition to the affirmative defense was that a "[n]otice of [c]laim is not a condition precedent to a special proceeding properly brought pursuant to CPLR [a]rticle 78 seeking judicial enforcement of a legal right derived through enactment of positive law." Supreme Court agreed and directed that McGovern be reinstated with back pay pending a hearing to determine whether she was denied tenure and terminated from her probationary employment in bad faith. On the District's appeal, the Appellate Division reversed and remitted the matter to Supreme Court for entry of a judgment denying the petition and dismissing the proceeding (114 AD3d 795 [2d Dept 2014]). The court ruled that the positive-law exemption on which McGovern relied was not relevant to the situation of a probationary teacher seeking to compel a school district to grant tenure. The Appellate Division also expressed its view that section 3813 (1) does not apply when a litigant seeks only equitable relief, but observed that McGovern asked for damages in the form of back pay in addition to an equitable remedy, and brought her lawsuit to advance a private right rather than vindicate a public interest. We granted McGovern leave to appeal (23 NY3d 903 ), and now affirm. On appeal to us, McGovern contends that she is exempt from section 3813 (1)'s notice-of-claim requirement for two reasons: the monetary damages that she demands are merely incidental to her primary claim for equitable relief; and/or she seeks to enforce tenure rights by estoppel [FN1]. Even if the Appellate Division may have considered one or both of these arguments, McGovern did not raise them at Supreme Court; therefore, they are unpreserved for our review (see generally Brown v City of New York, 60 NY2d 893, 894 ). Although the District only asserts a lack of preservation with respect to the second argument, we determine independently whether an issue is properly before us (see Halloran v Virginia Chems., 41 NY2d 386, 393 ). Order affirmed, with costs, in a memorandum. Chief Judge Lippman and Judges Read, Pigott, Rivera, Abdus-Salaam, Stein and Fahey concur. Footnote 1: McGovern does not contest the propriety of the Appellate Division's ruling on the positive-law exception.